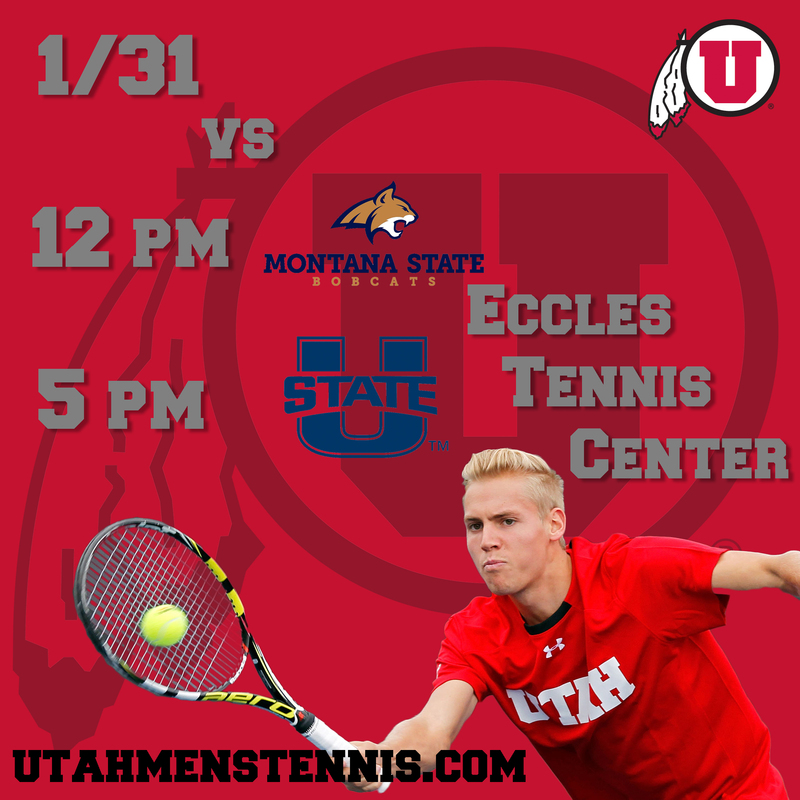 The 56th ranked University of Utah men’s tennis team (1-1) will open play at Eccles Tennis Center this weekend, hosting Montana State (0-0) and No. 70 Utah State (6-0) on Saturday in a double header, followed by a match on Sunday against the University of Montana (0-0). Utah is coming off 4-3 win over No. 55 Elon and a 4-0 loss to No. 7 Georgia in the ITA Kick-Off Weekend. The Utes will face Montana State on Saturday, January 31st at 12 p.m. MT. The Bobcats have yet to play a dual-match this season, but they will play BYU in Provo on Friday. Last year, Utah swept Montana State 7-0 in Salt Lake City. No. 70 Utah State will make the short trip from Logan to play the Utes at 5 p.m. MT on Saturday. The Aggies have had a hot start to the season, and they have earned their highest ranking in school history. Utah State has netted a road victory over BYU and an upset at home over then 70th ranked San Diego State. Last year, Utah defeated Utah State 7-0 at home. On Sunday at 11 a.m. MT, Utah will contest the Montana Grizzlies. The Grizzlies have not yet played a dual-match this season, but they will travel to Logan to play No. 70 Utah State on Friday. 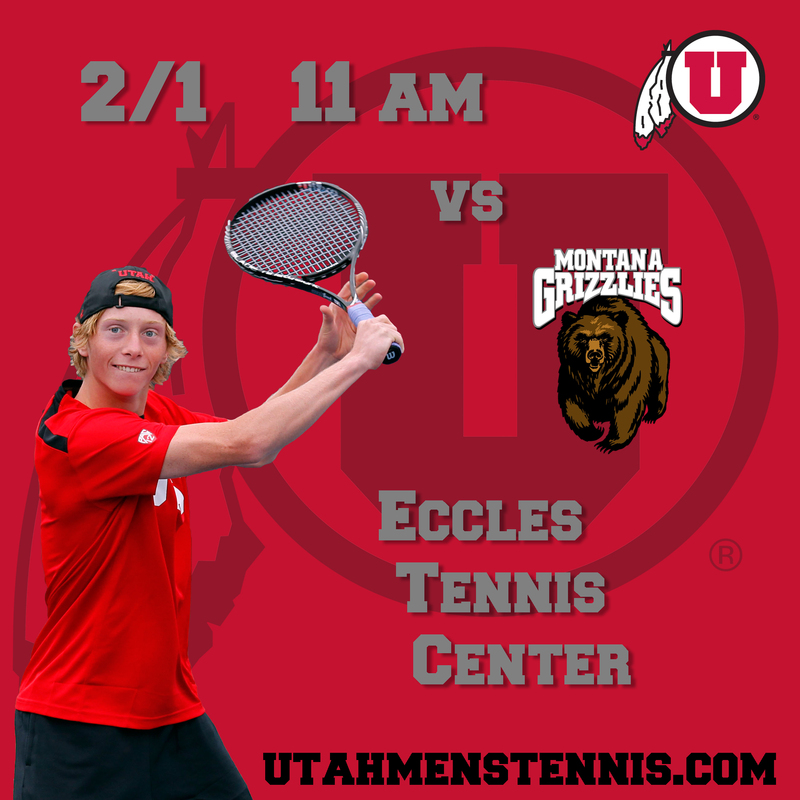 Utah clinched a 5-2 win over Montana at Eccles Tennis Center last year. As always, admission and parking, in the university lot only, are free. This entry was posted in Schedule/Results and tagged Montana, Montana State, Roeland Brateanu, Utah State, Utah Utes. Bookmark the permalink.